Illustration is of a piece I made at the workshop led by John Grayson at the Ruthin Craft Centre 16th. March 2019. John has spent the last five years researching Eighteenth-Century South Staffordshire Enamels to understand the crafts and skills used in their manufacture.The enamels were decorative objects such, as snuff boxes, and candlesticks. They were made from thin copper foil coated with layers of lustrous enamel. 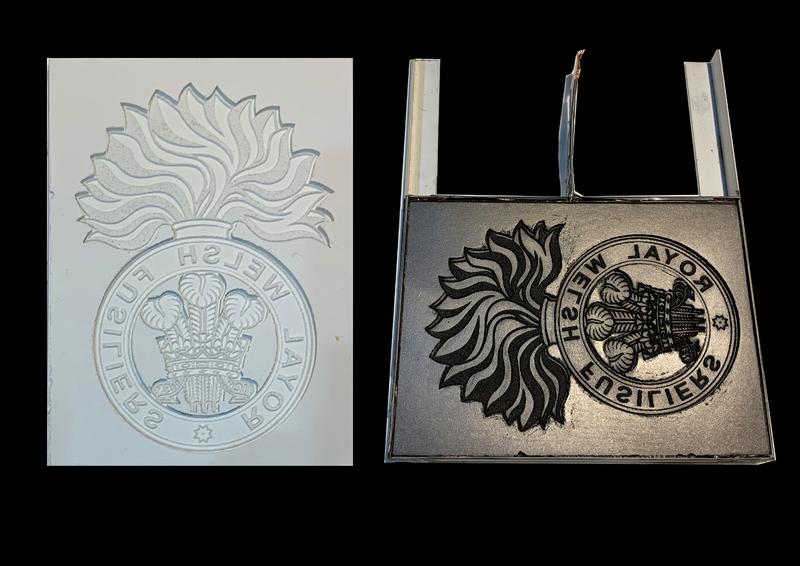 In his research John examined the crafts used in their manufacture, focusing on the making of the copper substrate that gives each enamel its shape. In his workshop he demonstrated how the objects were constructed and the techniques used to make them. Participants then used the techniques to make and enamel a heart shaped box. 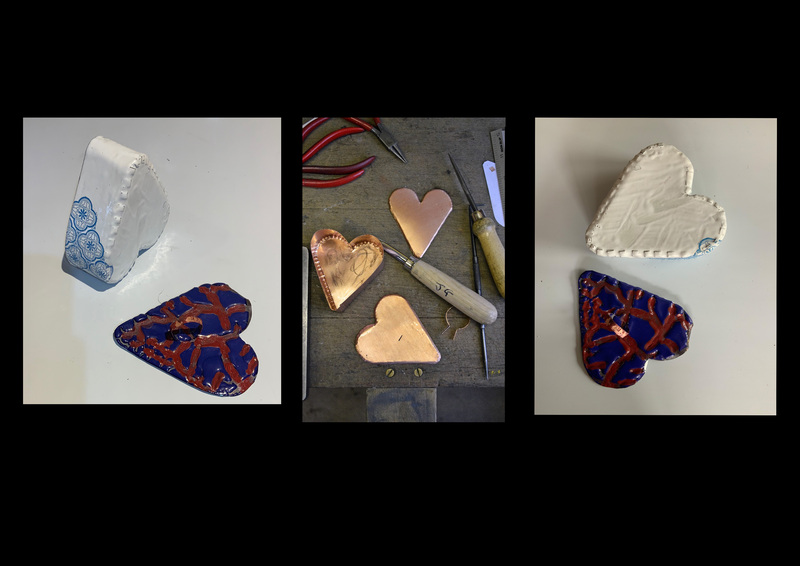 I came away from the workshop thinking that there is an area worth exploring in my own work of using electrotyped forms as substrates for enamelled sculptural objects. There is also a visual link in the box I made in the workshop and my interest in the Japanese traditional Oribi ceramics. Stereotyping makes it possible to edition plates as well as prints. The plates become works of art in their own right. They can be enamelled or plated with a different metal. Nineteenth century 3D printing, a process called stereotyping using electrolysis to make an exact copy of an object. The first picture is the artefact and the copper stereotype made of it. The second is of the mould made of it in latex. The mould is made conductive with graphite and placed in a frame to hold in place in the electrolysis tank. 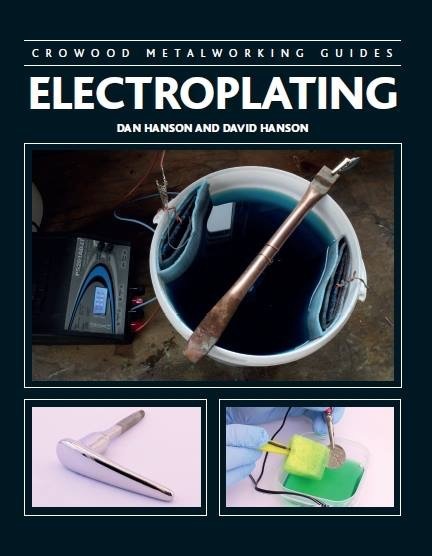 The electrolytic process plates the graphite with copper making a perfect copy of the original artefact. Collaborative project with Heather Prescott at the Wrexham Regional Print Centre. In the past the electrotype process was used to make metal copies of letterpress type. As part of the Wrexham Print Centres Harts heath Project I have made an electrotyped plate of a workbench that was estimated as being first used in the early nineteenth century. Unfortunately I was only able to take an impression from a small part of it before the bench was removed to a museum. 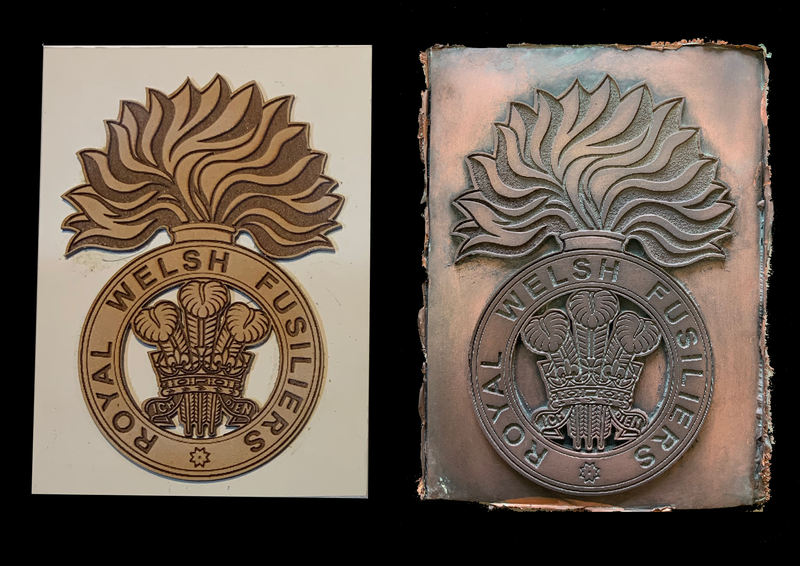 The image on the left is the reverse of the plate which is still attached to the mould and on the right is the part of the bench from which the impression was taken from.